As my car passed through the Chandrapur district of Maharashtra, the sight dampened my spirits. Massive mining and quarrying operations on the wild lands dents the buffer zone of Tadoba Andhari Tiger Reserve – the Jewel of Vidharbha. The apprehensions died down as soon as I entered the reserve with the sun rays filtering through a lush green forest that was sparkling after the monsoon showers. 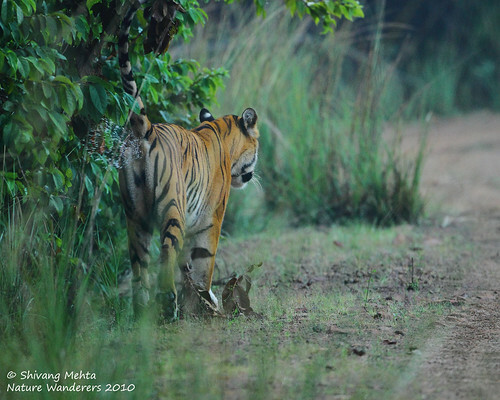 The highlight of my Tadoba visit could easily have been those 4-5 minutes I spent with the striped queen who walked in front of my vehicle marking her territory and majestically patrolling the picturesque Telia Lake. The highlight was not the pair of wild dogs that came out in the middle of the road from no where. It was not even the two sloth bears I saw on 2 consecutive days. The hours that followed these short and sweet sightings had something amazing in store which became the feature of the visit. The weather was a bit cloudy and the trees and bushes were buzzing with activity as the avionic wonders of Tadoba had just started their daily chores. We passed through the scenic Tadoba lake looking for some traces of the big cat and the sudden cheetal alarm calls caught my attention. Taking refuge under a huge banyan tree, I strained my ears for alarm calls that were slowly dying informing us that the predator has either settled down or left the area. The intensity of the anxiety of the cheetal called for a waiting game and we were holding our breath in anticipation. In the midst of the excitement that a predator movement can cause in a forest, you tend to ignore the action going on around you. A flameback woodpecker suddenly took off from a tree towards the back of our vehicle and flew towards this peepal tree drawing my attention towards this chirping patch of vegetation where the woodpecker joined its companion perching itself on a nearby branch. As I was observing the hops of the woodpecker pair, a golden oreole darted inside the tree flaunting its bright yellow coat in bright sunlight. Further scanning of the tree revealed a pair of black drongos calling each other on adjacent branches. 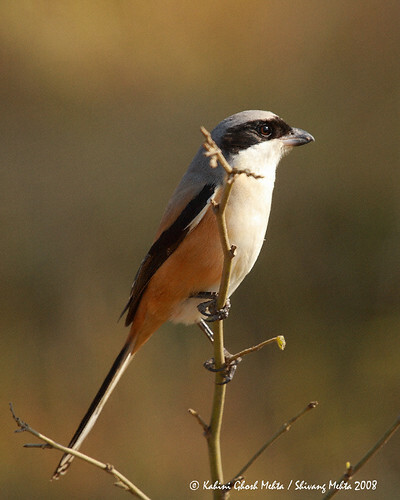 The drongo conversation was intervened by their specie counterpart as a white bellied drongo perched itself right on the branch above. On the right hand patch of the tree, the tree tops were dominated by a parakeet family. In the beginning it was just a couple of rose ringed parakeets that were feeding in the golden morning light. Within minutes, a pair of plum headed parakeets joined the party and before I could take the entire family in one frame, an Alexander parakeet caught hold of the top most branch to make it a complete family picture. With eyes glued at the top of the tree, I missed some action in the center where purple sunbirds were flying in and out of the bush in search of flower nectar in the bushes behind the tree. The buzz inside the patch forced me to lift my binoculars for a closer look. Oriental white eyes, red vented bulbuls, jungle wabblers were the reason for hustle and just as I was lowering the binoculars, a blackish silhouette perched itself on the left hand corner of the tree. 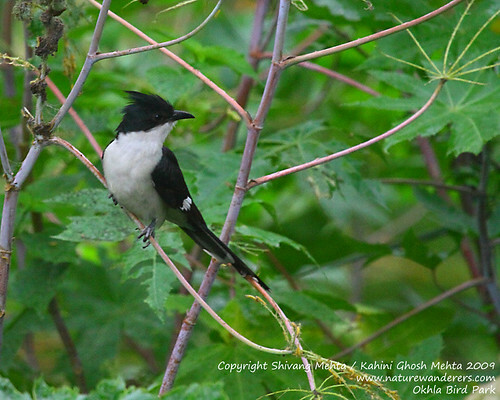 I caught hold of my camera and as the lens focused on the patch, a beautiful pied cuckoo emerged from behind in bright light with a caterpillar catch as its morning breakfast. Hoping from one branch to another, it relished its breakfast and finally came out in the open posing in front of me for some good couple of minutes. The peace and tranquility of a tree for a few minutes made it a hot spot for birds around the location but the peace was momentary. The predator somewhere in the deep and dense bushes decided to continue its morning walk and the cheetal gave frantic alarm calls yet again. 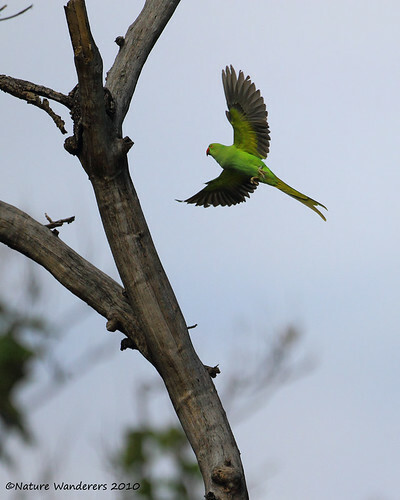 The drongos were the first to leave and were followed by the parakeets. Within seconds a tree that was sheltering around 40 odd species of birds stood bird-less… this was another form of nature I witnessed for the first time – natural shelters are momentary!